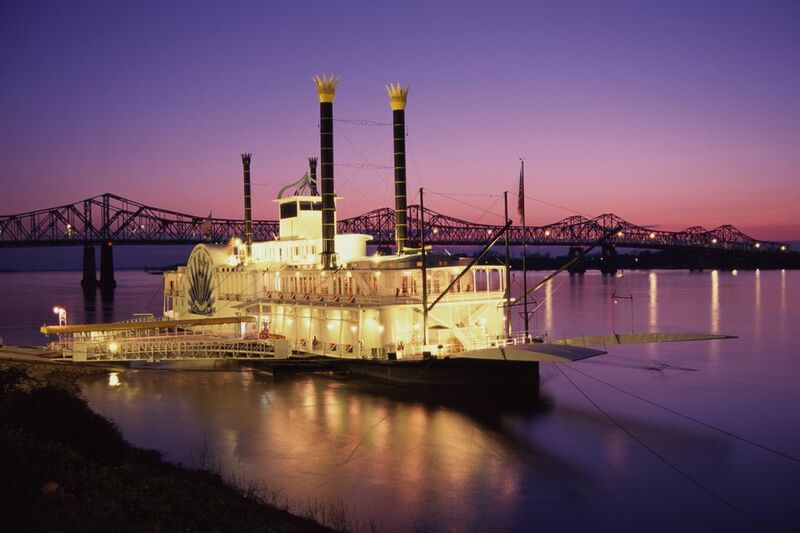 Situated on high scenic bluffs overlooking the Mississippi River in southwestern Mississippi, Natchez is approximately 90 miles north of Baton Rouge, Louisiana and 70 miles south of Vicksburg, Mississippi. Several major routes lead to Natchez, including U.S. Route 61, U.S. Route 84, U.S. Route 65, U.S. Route 98, Mississippi Highway 554, and Mississippi Highway 555. In addition, Natchez is the southern terminus of the historic Natchez Trace Parkway and one of the historic river cities located along the scenic Great River Road. Home to over 1,000 historic buildings listed on the National Register of Historic Places, Natchez is a favorite destination for visitors with an interest in exploring Southern history, architecture, and traditions. The Natchez Spring Pilgrimage, held in March and April each year, is a time-honored tradition and an especially popular time to visit. 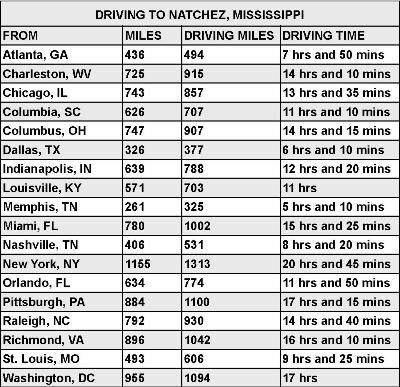 If you are planning to drive to Natchez, Mississippi, this chart of approximate mileage and estimated driving times between Natchez and several U.S. cities will help you with your travel planning. Please note that the mileage figures are approximate and driving times are estimated. Please use this listing as a guide only as the estimates do not account for traffic delays, detours, or other unexpected travel delays.